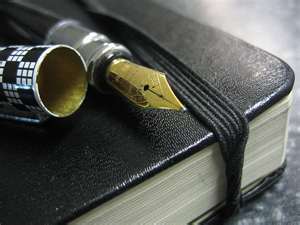 You are currently browsing the Suburban Homesteading – Frugal Living blog archives for April, 2012. So far the first week of our 27-day challenge has been an easy one thanks to a well stocked pantry and freezer. The trick has been to use what we already have in new and interesting ways. New marinades, different seasoning combinations or interesting cooking methods can bring new life to routine meals. For breakfast Brianne and I have poached eggs on toast. The eggs are collected daily from our own hens and the bread is baked from ingredients I have on hand. Brianne eats an extra piece of toast with blueberry jam, canned last summer from berries picked a few miles up the road. It is the perfect start to our morning (and our challenge). I contacted my friend Angela who buys raw milk from a private dairy. It’s not in the county, but I think it will be within a hundred miles; still waiting on a response. Lunch has been egg salad sandwiches on baked bread with sliced peaches canned this past fall from our own peach tree or chicken salad made from broilers we raised by hand, processed ourselves and frozen to sustain us throughout the year. While running errands to the feed store we snacked on Grandpa’s homemade venison jerky, made last fall from his wild harvest, and lemonade made from my neighbors lemon tree. One of our dinners this past week was grilled lamb chops with an Asian marinade, sticky rice and cucumber salad drizzled with rice vinegar. The cucumbers were hydroponically grown and came from the farm market. The lamb was home raised and harvested last fall, and the rice and other marinade ingredients came from the pantry. We washed it all down with a refreshing glass of mint tea, fresh picked from the garden right before brewing. All-in-all this week has been a great start to our 27-day challenge. 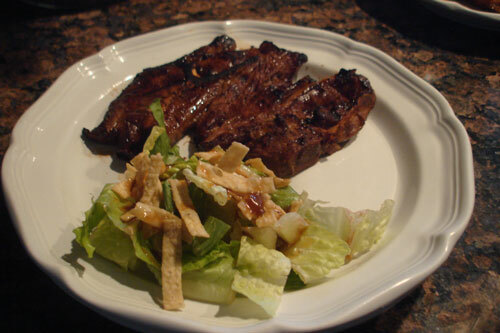 Combine all ingredients except lamb chops to make marinade. Place chops in baking dish and cover with marinade. Cover and let sit for 3 or more hours. Grill until about medium doneness, but still pink in the middle. On stove, cook down marinade for topping on rice. In an unprecedented “brain fart” on the part of the Obama Administration and the Department of Labor, governmental officials try to regulate the chores kids can do on their own family farm. The family farm section was part of a sweeping labor bill mainly directed at farm labor contractors hiring under aged youth to work in Ag related entities without proper training or protection. But, as with most governmental interference, what started out as a good intention quickly lead to an overreaching intrusion into American farm life and the way we choose to raise our children. But—we’re not rid of them yet. Unfortunately, the DOL will now help teach us about working on a farm and with livestock. WONDERFUL!!! The government is going to teach our children how to properly and safely catch a hog. This I’d like to see. Moreover, the Obama Administration and the DOL can’t possibly know anything about 4-H or FFA or they’d already know that “educational programs” is what these two youth organizations are all about. There is a reason that the 4-H motto is “Learn By Doing” and the FFA motto is “Learning to Do, Doing to Learn, Earning to Live, Living to Serve”. These organizations TEACH…all the time and with every project! Remember this in November, folks, otherwise we are doomed to more stupidity. Well folks, the countdown is on. This time next week I’ll be packaging up twelve freshly processed ducks for the freezer. So far this has been a relatively easy meat project; just as simple as raising meat chickens, if you discount the water issue. But, I think the water would be a non-issue if I used an automatic water bowl similar to those used for dogs. That way the ducks could have an endless supply of water to drink and wash their faces in and I wouldn’t have to refill one-gallon water fonts four to five times a day. In reality the ducks use more water for washing themselves then they do for drinking. I have also decided that if I raise ducks again I will build a dedicated area that has more space and housing and figure out some way to manage the water splashing so the whole place doesn’t become a muddy mess. Right now they are in a corner of the barn. Although they have plenty of room there is no way for me to put together a set-up that allows them to go outside. I also think that more space will cut down on the manure build-up and I will use fewer bags of shavings for bedding. 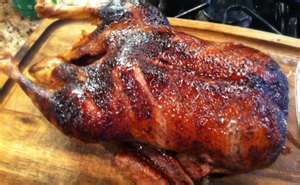 Only our local gourmet stores and some ethnic stores carry duck meat. The gourmet stores charge almost $20 a pound for breast meat and slightly less for thigh and leg combos while the ethnic stores sell frozen packaged duck meat for about $16.00 for a package that is less than 3 pounds. This is one of the reasons we decided to raise our own. With the above numbers, our ducks will end up costing about $11.26 per duck. BUT…the big difference is our ducks will process out at about 5 pounds each—twice as heavy as anything in the markets. For now though I’m keeping my eye on the ball and getting ready for butchering day. Sandy and I are doing things a little differently this time. Instead of me packing up a load of birds and traveling to her farm she is coming to mine and bringing all the equipment with her—scalder, plucker, stainless steel table, cones, knives and scissors. I’ll supply the electricity for heating up the water in the scalder and an endless supply of water for rinsing and washing. We’ll set up on the patio where we will have easy access to electrical outlets and water, shade and the kitchen for ice and other necessities. Stay tuned. The whole process will be posted here next week. In this case though, moving out instead of up, out into the barn. I fenced off a 4 x 8 foot corner of the barn using extra livestock panels. An old metal tray, the bottom of a rabbit hutch, serves to collect the water the ducks splash out of the water fonts. Or, at least it tries. One thing I have learned from our small duck operation is they love to splash in any amount of water which can dampen a good portion of their temporary home. It is logical when you think about it. They are waterfowl after all. Not all their water loving instincts have been bred out of them. An old rubber feed tub holds their grower ration. They eat about 4 to 5 pounds each day, but honestly I haven’t been keeping track. Each time we walk into the barn the feeder is topped off so they never run out. What I can tell you is we have gone through almost 100 pounds of feed—50 of a chick starter ration and almost 50 of a grower mash. I have one bag left and that should hold out until the scheduled butchering date in May. What we use the most of is shavings, both as bedding and as an absorbent material for the water. Every few days the tray is cleaned out and refilled, and the rest of the pen is topped off to give them a dry unsoiled place to live. The shavings are used again as a weed barrier in garden paths or around the base of fruit trees. When all is done I may have more invested in shavings than in feed. I once read that it takes 27 days to change a habit, either good or bad. 27-days to stop smoking, start a diet and stick to it, or make exercise part of your daily routine. 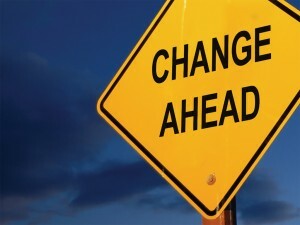 In 27 days the “new” habit has formed in the brain and becomes second nature, you do it without thinking. Because today is Day One of a 27-day family challenge to eat more locally, buy locally and consume locally. It’s a personal challenge I know, but one I hope many of our readers will champion as well. If we stop and look (or research) what is available in our county I think we would all be surprised at how many of the ingredients needed to make a meal can be found in close proximity to where we live. I have to admit that even I sometimes forget what can be found just a few miles from my home. The challenge will mean a lot of cooking at home, eating harvested animals, shopping in the pantry (or the garden), at farm stands and Farmer’s Markets, and much more. What it doesn’t mean though is giving up on condiments, spices, tea and staples I already have on hand like flour, sugar, olive oil, rice, beans and pasta. I’ll document our progress, and be honest about the pit falls: added work of making bread on a Tuesday after work, the challenge of gardening with a full-time job and a kid in school and the sabbatical my hens sometimes go on, leaving us with no eggs for days. It will also mean a few sacrifices (swearing off Dr. Pepper and Mint Chip ice cream for starters, but that’s not necessarily a bad thing.). We’ll be eating within 60 miles of our home (the size of our county) and sometimes 60 feet from our own back door for the next 27 days; and not for the reasons you may be thinking of – supporting the local farm economy, increase in transportation costs of goods, factory farms, high intensity animal feedlots…that kind of thing. Nope, none of that. We’re doing this for a lot of reasons, but mostly because we want to make a permanent change to the way we think about our food. We want to jumpstart our dedication to growing even more of our own food and buying what we don’t as locally as possible. I want to know how much effort it will take and how much cheaper (or expensive) it is to truly eat where we live. So, for the next several weeks I’ll be writing about all the gory details and shining triumphs, along with some of the recipes I used just to entice all of you to jump on board. Shop at home first (freezer, larder, pantry, garden, barn). When needed, shop local farm stands and farmers markets. Buy, barter or trade for local meat we don’t raise ourselves. Bake from scratch (wheat is a CA crop, but not farmed locally. It comes from 100 miles away, but is milled into flour 50 miles away. Works for me). Source relatively local dairy products. Cold turkey on candy, chips, sodas, fast foods, etc. (although these are not big items at our home, just the idea of it may kill Brianne). Eat three square meals a day, plus snacks. Staples, condiments, oils, spices and seasonings already on hand are allowed. Drink at least ½ gallon of water a day. Walk at least 3 miles day. Sound like a plan? Stay tuned to see how we faire. Pick cabbages when the heads are solid and before they begin to split. To prevent splitting, cut or break the roots on one side after a rain with a spade. Pick sweet corn before it gets beyond the milk stage when the kernels are first filled out. Silks should be brown and dry with the tips of each ear filled tight. Harvest cucumbers every day at season’s peak, while fruits are slender and dark green, before their color lightens. Eggplants should be picked when half grown and before they become dull. Muskmelons are ready to pick when stems slip from the fruit, leaving a clean scar. Wait to harvest parsnips until after a sharp frost. The same holds true for rutabagas. Root crops such as beets, radishes, carrots and turnips are best picked before they reach the largest size. When the underside of a watermelon turns yellow or when thumping on the melon produces a dull muffled sound instead of a metallic ring, it’s time to harvest. As a general rule of thumb, pick all underground vegetables, like beets, carrots, onions, etc. in the morning. Above-ground crops like lettuce, tomatoes, cabbage and the like should be picked in the late afternoon or at twilight. WHY? you may ask…because the sun’s energy runs from the foliage to the root at night, which is why you should pick root veggies early in the day; when the sun’s energy is still in the root. The sun’s energy is still in the foliage during later afternoon when above-ground crops should be picked. Following these few easy tips will ensure your harvest is at the peak of its flavor for you and your family. Just one week after we picked up our batch of meat ducks, they are growing like weeds. 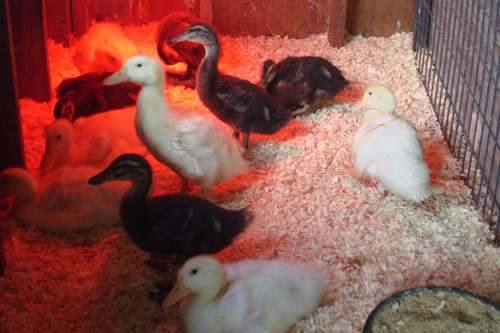 See them and their warm brooder home on The Duck Diaries Movie.